It is almost as if the valley itself is asking its people to chill. It is that time in the cycle with shorter days, cooler nights and lots of vibrant colors exploding in the valley. The autumn colors popped spectacularly this last week, and it appears the aspens are saving some for our future as the greens on Kebler, the Upper Loop and Snodgrass highlight the yellows, oranges and reds exploding around them. It is a good fall for the colors thus far. Rainbows are being spotted not just in the evenings as the sun sets but in the mornings and even afternoons. Wonderful. The low clouds have been dancing with the light to bring drama to the scenery and herds of elk are readily seen and heard bugling throughout the valley. It is indeed a special place. And so we begin the change. As columnist Polly Oberosler notes in a piece in our Fall Guide, nature relies on cycles and this cycle is a time to prepare for the coming winter. The plants, animals and humans of the valley all need this time to slow down and ready themselves for the cold storms of a high mountain winter. That is something of which to be proud. 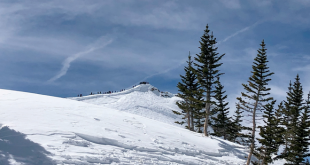 Other resorts are larger and cater to a more demanding clientele but Crested Butte is still seen by the skiing community as an authentic, albeit “challenging,” resort. CBMR is also working along with others to smooth out some of the ‘challenge’ through sweet grooming and some new glading that will allow those with intermediate skills to shred places that a few years ago were too tight for most. The Mueller group has always emphasized good grooming and this summer they did more glading off Double Top and Bushwacker. 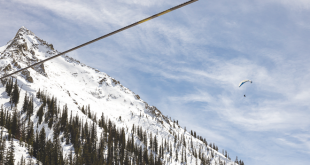 The community airline program is growing to make access to the area less challenging and the resort is continuing to target a Front Range drive market client who lives in Colorado to ski mountains like Crested Butte. That is all in the works today to help benefit the community tomorrow. It is the preparation cycle. But for most of us, now is the time to slow down from a busy summer and enjoy the fall. The trails are soft, the weather ideal and the scenery absolutely breathtaking in its vibrant Technicolor glory. Speaking of color…without mentioning the major special event on the rear horizon (MSEOTRH) that has dominated discussion over the last month, several people told me they actually liked Mel Harper’s (somewhat tongue-in-cheek?) idea of painting light poles on Elk Avenue different colors to honor different Crested Butte events. 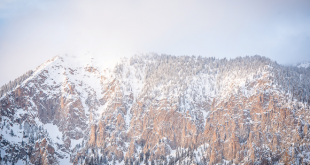 Paint a red pole for Red Lady and the community efforts to protect that mountain. Paint a pole yellow for the wildflower festival. Paint a pole black and white to honor the museum and its black and white ball. Pink for the rodeo’s Tough Enough To Wear Pink efforts and white for the glory of the winter season and the Extreme Comps. There are other colors that could be symbolic as well. Paint the poles west of the Old Town Hall bus stop to perhaps draw folks up that way. The idea is that a plaque could be placed on each pole that would inform visitors of the value of each symbol. It’s a unique idea and one that could be eye-catching and maybe uniquely impart some history and perspective to visitors. I have no idea if that’s a good idea or not, but it’s fun to think about. Hmmmm…how would you paint a pole to commemorate the Zombie Prom? Anyway, back to the season at hand. Let yourself embrace this place. Listen to the valley as it shouts its autumn beauty for the next few weeks. Really look at where you live. It is not like most places. Ride the cycle and slow down in preparation for the coming winter. The white will slowly begin its descent from the mountain peaks to the valley floor. Relish this time of color and pace. Not everyone gets this opportunity.